Currently, no private farms exist that apply this technique. 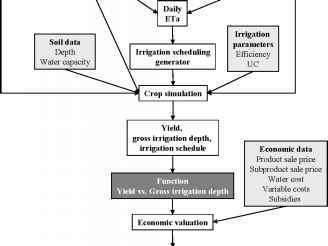 However, it is certain that, the maximum permissible irrigation set for certain crops, as well as, the offered recommendations of irrigation from the SIAR, consider these results to try to maximize the yields for that level of deficit. The clearest examples can be seen in the tree crops such as vineyard and the olive tree. In these crops, the curves of the Kc have been modified from the results obtained in the previous trials to reduce the recommendations of irrigation (Figure 24 and 25). Figure 24: Evolution of the Kc for the vineyard (cv. Cencibel) in the province of Ciudad Real (SIAR, 2007). Figure 25: Evolution of the Kc for the olive tree in the province of Albacete (SIAR, 2007). The recommendations offered by the SIAR are evaluated in the field by means of the monitoring of several control plots. Given its growing importance in the region, a curve of Kc for the crop of pistachio is being developed. Module I determines "Yield vs. Gross irrigation depth" for each crop and "Gross margin vs. Gross irrigation depth" functions (Figure 26). Figure 26: Module i sketch. 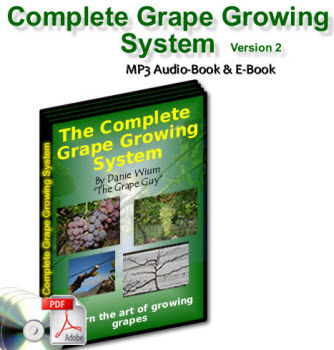 Module II determines the distribution of crops that obtain the maximum gross margin (Figure 27).